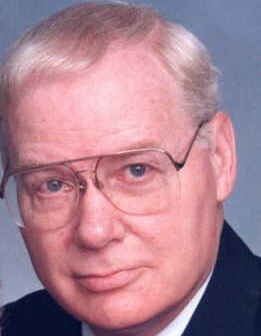 Neil H. Clark, 87, of West Columbia, SC, passed away in his sleep October 31, 2018. Neil was born on June 3, 1931 in Pittsfield, Massachusetts to Howard T. Clark and Louise Neilson Clark. He was a graduate of Pittsfield High School and a member of the Rifle Team winning many awards for marksmanship. He attended Bryant College where he graduated with a degree in Industrial Management and Accounting. Neil served in the Army and was stationed in Stuttgart, Germany where upon his return he was employed by Pittsfield National Bank. Neil moved with his family to South Carolina in 1963 taking a position with Citizens and Southern National Bank. He retired as Vice President from C & S Bank in 1989. During his career he managed branch offices in the Columbia and the Lake City areas. He was active in many organizations in the Greater Columbia area including Sertoma, The Boys Club of the Greater Columbia, and the Literacy Council. Neil is preceded in death by his parents and brothers, Howard T. Clark, Jr. and Robert N. Clark. He is survived by his children Cynthia A. Campbell-Wolters (Paul) of Fredericksburg, TX and Christopher R. Clark (Pamela) of Irmo, SC; his grandsons, Ryan C. Bilyeu (Leoni) of Tijeras, NM, C. Tanner Clark and Grayson T. Clark of Myrtle Beach, SC, and his great-grandchildren Kenzie A. Bilyeu and Jace L.W. Bilyeu of Tijeras, NM., four nephews and their families. Private family funeral services and burial will be held in Pittsfield, Massachusetts at a later date. In lieu of flowers, Neil had stated that he wished donations to be made to PETSinc.org. Memorials may be sent via the website or mailed to 300 Orchard Dr, West Columbia, SC 29170 or to the charity of your choice. The family wishes to sincerely thank all those who cared for Neil during his illness and passing, including but not limited to, Heartland Rehab and Nursing Home of Columbia, Palmetto Health Hospital, his personal physicians and their staffs, and Carolina Funeral Home in Scranton, SC. We cannot thank you enough during this difficult time.